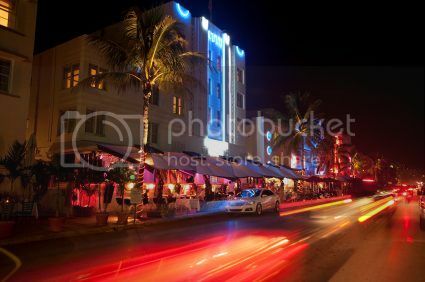 Miami is the nightclub capital of the world and is continuously ranked amongst the world’s top nightlife destinations. Miami also boasts some of the biggest and most well-known clubs and the list of guest DJ’s to have appeared on the Miami club scene is endless. In the 60’s Jackie Gleason called Miami the “sun and fun capital” and that title is still appropriate today. The nightclubs are engaged in a constant battle to outdo each other with designer interiors, top DJ’s and celebrity clientele and they encourage a culture of see-and-be-seen with the promise of what lies behind the velvet rope. There are clubs for lovers of all music genres including Latin, dance, jazz and rock and there are also gay venues and plenty of comedy clubs and sports bars. We have compiled a list of a few of the nightclubs that Miami has to offer, and we are sure you will have a great night out in every one of them! Space is one of the top nightclubs in Miami, if not in the entire continental US. Established in 2000 by Louis Puig, Space has attracted internationally renowned guest DJ’s such as David Guetta, Eric Prydz, Erick Morillo and Sander Kleinenburg, who regularly play through the night into the early afternoon. Space is housed in a vintage, multi-storey warehouse, the roof of which has been turned into an enormous outside terrace. Space is popular with celebrities, many of whom have been spotted cutting a rug until the small hours of the morning. Entrance fees vary depending on the event but generally range between 20 and 60 dollars. Mansion has hosted some of Miami’s most glamorous entertainment events, such as the MTV after show party hosted by P.Diddy and live shows by Prince and Britney Spears. Mansion is located in a building that was first built in 1936 as a French Casino, and today is one of the most decadent nightclubs in the world with its ornate decorations, sweeping staircases and fireplaces. Mansion hosts regular special events and the cover charges vary depending on the day of the week. If your idea of a good night out includes mixing it up with celebrities and fashionistas then Mynt is the place to go. Stars such as Ricky Martin, Lindsay Lohan, Cameron Diaz and Jamie Foxx are regularly seen in Mynt alongside famous models and designers. Mynt have a strict door policy and is proud of its reputation as the ultimate high end club in Miami. Every summer the club is completely refitted to maintain its exclusivity and keep it fresh and current. Some of the world’s most famous singers and DJ’s have performed at Mynt and a list of current and upcoming events can be found on their website. Cameo attracts top DJ’s from around the world who willingly come to whip the crowds into a frenzy at this spectacular and glamorous location. Although Cameo has a reputation for having a tough door policy, once you are inside you will be knocked out by the recently renovated interior and state of the art sound system. For fans of hip-hop, dance and R&B, this is the place for you. On any night of the week you will find Flavour jumping to a variety of tunes. The club attracts top DJ’s from around the world and is one of the trendiest spots in Coconut Grove. Nocturnal occupies 20,000 square feet and covers three floors of a building on NE 11th Street. The main dance floor is on the first floor and there are plenty of seating areas with table service. The second floor contains the VIP section and private rooms and the third floor is an enormous rooftop terrace with its own dance floor and spectacular views over the water. Hoy Como Ayer is the go-to club if you are looking for the best live Latin music in Miami and over the years the club has won numerous awards. They have recently developed a menu and you can spend a very laid back night eating, drinking and dancing to the lively Cuban music. Hoy Como Ayer is a very popular destination for locals and tourists alike who go for the atmosphere, friendly welcome and excellent music. Bongo’s Cuban Café Nightclub is open on Friday and Saturday nights and offers some of the best live Latin music in Miami. The restaurant and nightclub was opened in 2000 by its owners Gloria and Emilio Estefan, and today there are 5 Bongo’s locations throughout Florida. The nightclub is very popular and can get very busy, but there is a fun and relaxed atmosphere and that is what earns it a place on this list. Automatic Slims is an authentic Rock and Roll biker bar with all female staff serving you the best in national and international beers and a huge range of spirits and liquors. Slims has events every night of the week and is not a venue for the more conservative amongst you. For the rest of you it is a lot of fun and you can have a great night shooting pool and enjoying the shows and live music nights. There is no cover charge. Twist is the most famous gay nightclub in Miami Beach and contains seven bars, each with its own décor and atmosphere, all located in the same immense building. It is an incredibly popular club and the queues often stretch around the block. Twist never charge a cover and the bars are open every day from 1 pm to 5 am. Between 1pm and 9pm drinks are two for the price of one. Azucar is one of only a few Latin gay clubs in Miami and is arguably the best. It attracts a mixed crowd – everything from outrageous drag queens to lesbians to straight couples enjoying a great night out, and has regular specials nights. Score is a vibrant and colourful gay nightclub located in the heart of South Beach. Scores consists of various bars and lounges, all arranged around a central dance floor that is packed on weekends. Guest DJ’s and special events are regular features on the Score calendar. A cover fee is charged when there is entertainment but is generally under $20.